This weekend had so many fun amazing things happen. The very most fun and amazing is the introduction of the newest member of the Grandipants Team. Miso came to us all the way from Tree House Humane Society (which is conveniently located around the corner) where she was named Pockets. 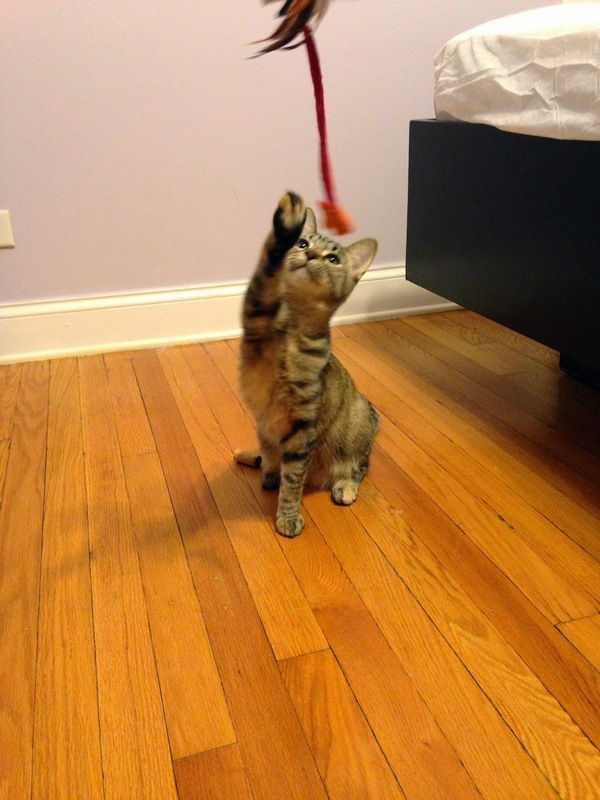 We have been talking about getting a kitten since Boyfriend bought the apartment, and finally we had a whole Saturday to spend picking out our favorite and helping her get adjusted. She is hanging out in our guest room and when she is not hiding under the dresser, she can be found hiding in the carrier or under the bed. She is doing better about coming out and visiting us when we go into say Hi and she is a big fan of lap sitting, just like her big sister. Big sister, Hazel, knows something is up because she is being extra adorable and snuggly since we brought Miso home. She spends a lot of time looking intently at the guest room door and trying to stick her paw under it. 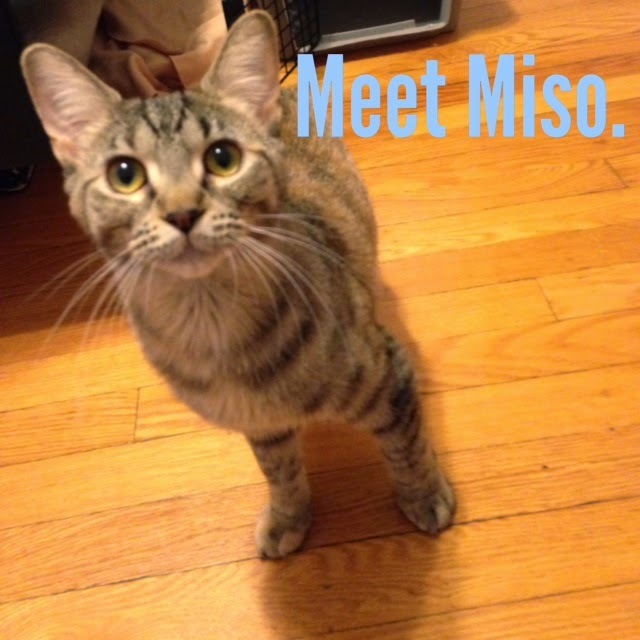 With any luck she will realize that Miso is her mini-me and they will be best friends. This has been a fun experiment if for nothing else, it is giving us a small sneak peek into how we are going to do with parenting - cutthroat competition for who can be loved the most by the baby. We are both trying to be very cool about it, but we are absolutely counting how many minutes the kitten spends in a lap before moving to the next one. I have taken most of the snuggling duties while Boyfriend is in charge of cat-toy usage. The people at Tree House are the best. Their cats are the best and you can even watch the kittens on the internet - Kitten Cam, it is like Panda Cam, except you can totally take one home with you. They will try to convince you that you take maybe two or three, but stay strong - the cats may not outnumber the people, no matter what Sydney the cat lady tells you. We are super excited for Hazel to have another non-human companion to keep her company, we just hope she is as excited as we are. Miso has been practicing being adorable to win her over. Humor in sadness and gravity.